An improved beta of the above tool. This link allows you to search only Creative Commons licensed images on Flickr. Rubrics used with OER Commons to facilitate crowdsourcing evaluation. Learn more about using the OER rubrics linked above to evaluate OER with these videos. A dynamic document from Open SUNY Affordable Learning Solutions. 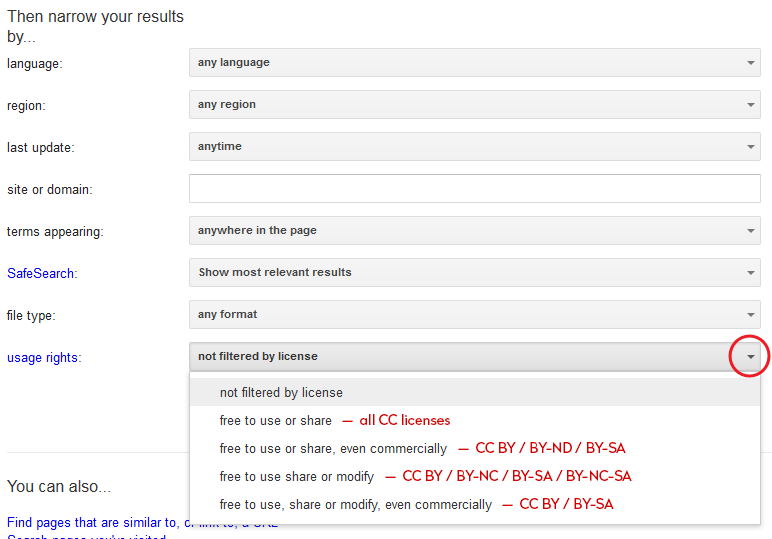 You can limit Google search results to Creative Commons content. From Google's advanced search page, scroll to the "narrow your results" section and choose an option from the "Usage rights" dropdown menu.